Whale sharks are the biggest fish in the sea! The largest reported individual weighed in at a staggering 21.5 tons and 12.6 meters in length. In a healthy environment, they’re also known to live up to 100 years old. There are more than 3,000 different species of nudibranchs, many barely visible to the human eye! Some species can even store the venom from their food – like toxic sponges and hydroids – to use as a defense mechanism against predators. Coral polyps are actually animals that can reproduce in two different ways. 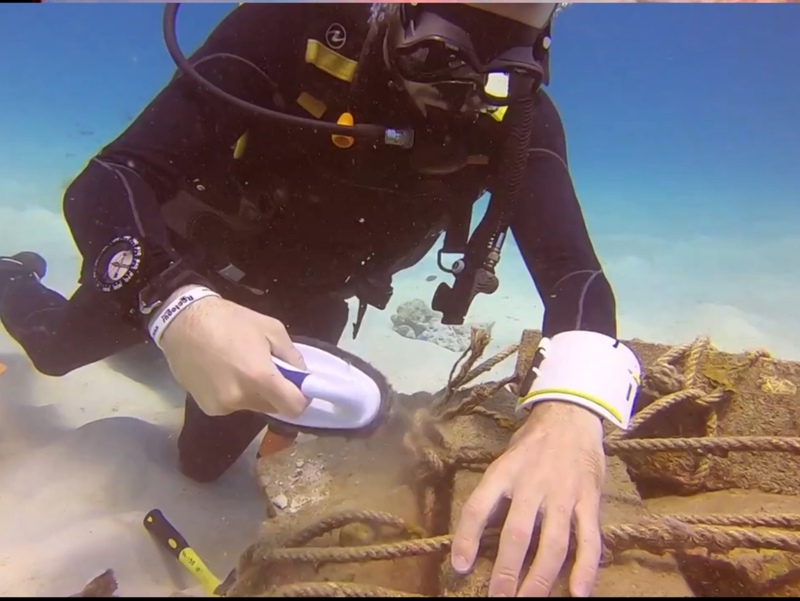 Because of its asexual capability, naturally broken fragments can be attached to artificial reefs to nurse the colony back to life, or create an entire new habitat altogether! Butterfly fish are actually masters of camoflauge! Their markings mask their eyes, and several species have dots on their tails to confuse eager predators. Ghost nets are one of the greatest physical threats to marine life. Every year, thousands of sharks, whales, dophins, and more are entangled in these abandoned or lost nets. 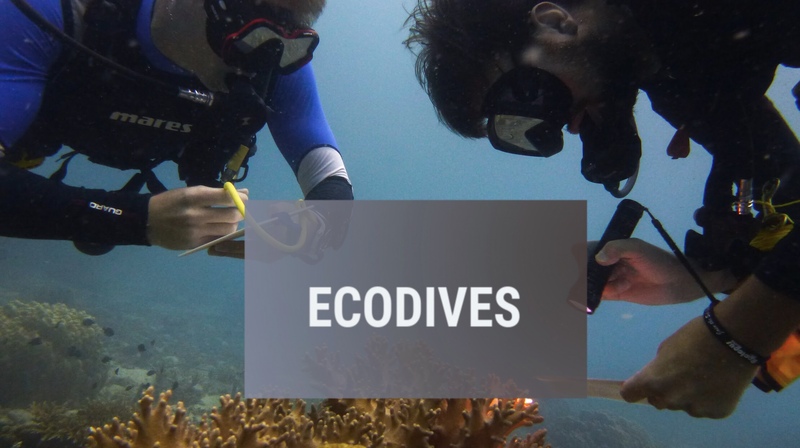 When they drift onto our bays and pinnacles in Koh Tao, our ecoTrust team removes them as soon as possible to mitigate risk to our wildlife and coral. 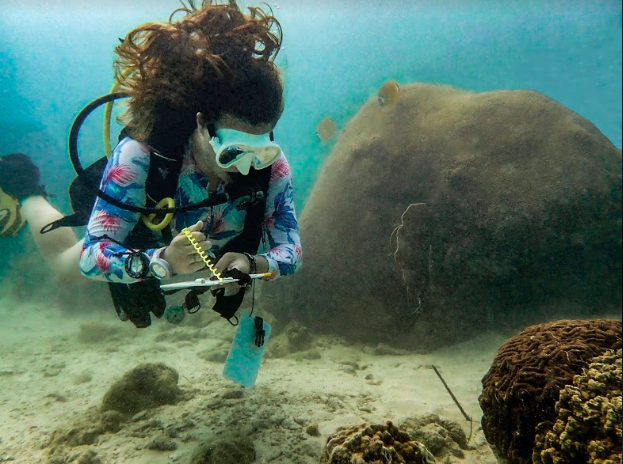 Monitoring for reef change is the cornerstone of any conservation effort. 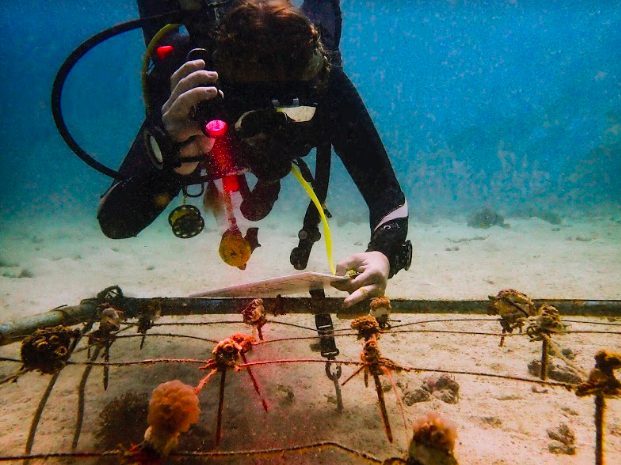 By using indicators grounded in conservation theory, we can learn more about what specific stressors and problems influence reef health, and guide results-driven strategies in a measured and informed manner. 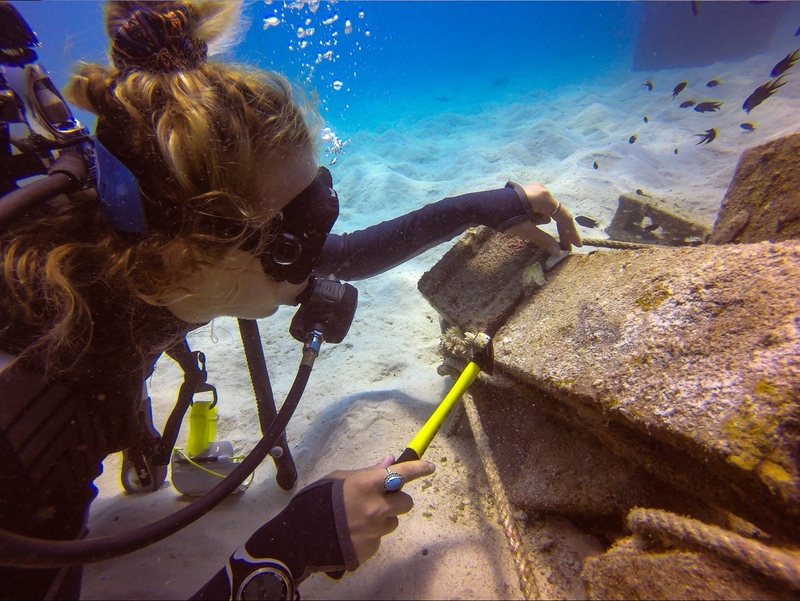 By consistently collecting information about the sites in which we work, we can witness over time the comprehensive impact our efforts have, and make strategic adjustments based on changing conditions. Weekly, we measure metrics like temperature, salinity, pH, turbidity, nutrients, and dissolved oxygen in the water of our dive sites. 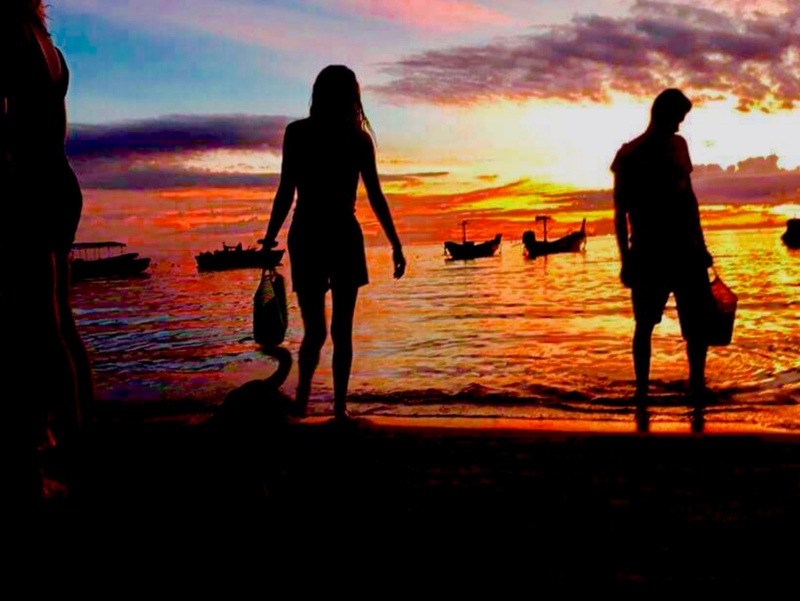 This data enables is submitted to an island-wide database that helps to track changes over time and guide conservation efforts. 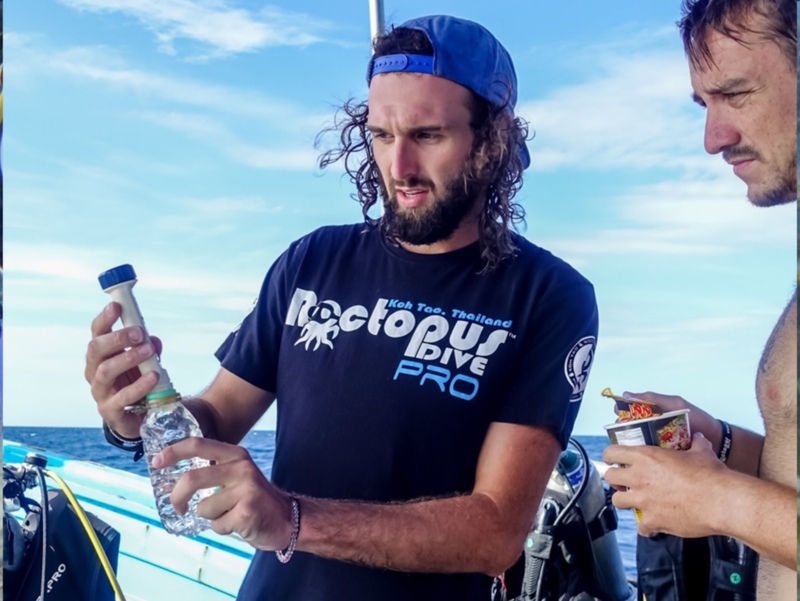 Our team’s work supports CoralWatch, a citizen science program operated by the University of Queensland. 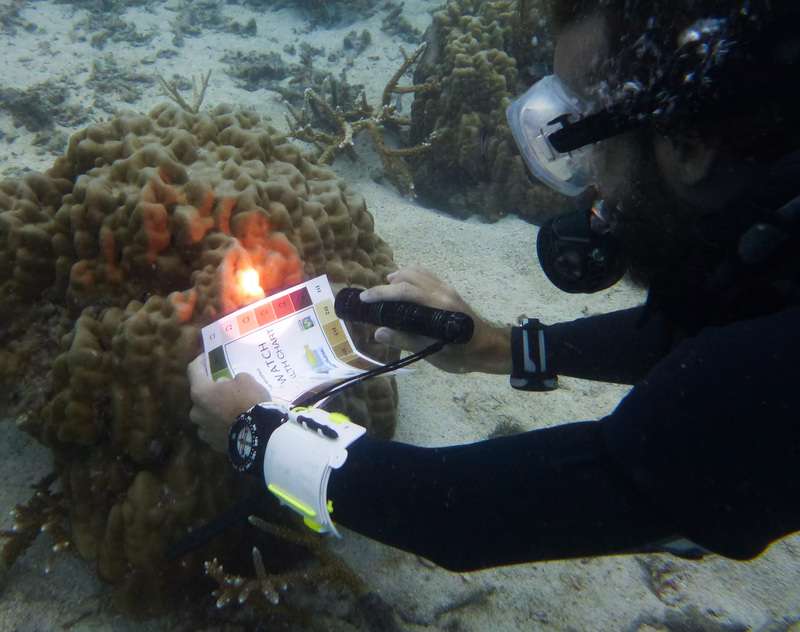 Using a colour-based coral health chart, divers and snorkelers can evaluate the health of corals across reefs, adding the information collected to this global database that maps the extent of coral bleaching and gives scientists incredibly valuable information about recovery trends, disease patterns, and an accurate depiction of areas most threatened by coral bleaching. 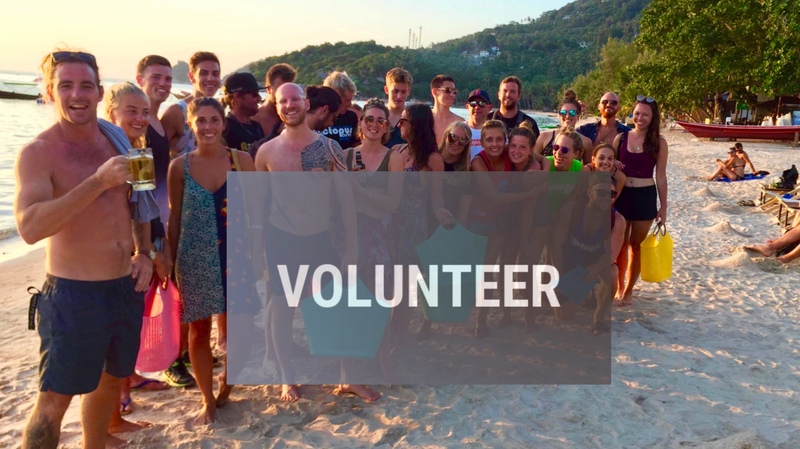 Come join our team each Friday at 5:45PM at Victor’s bar – right down on the beach from Roctopus HQ – for a sunset beach clean and free beer courtesy of RAID International! All rubbish collected is recorded by our ecoTrust team and submitted to the Ocean Conservancy, which monitors global marine pollution. 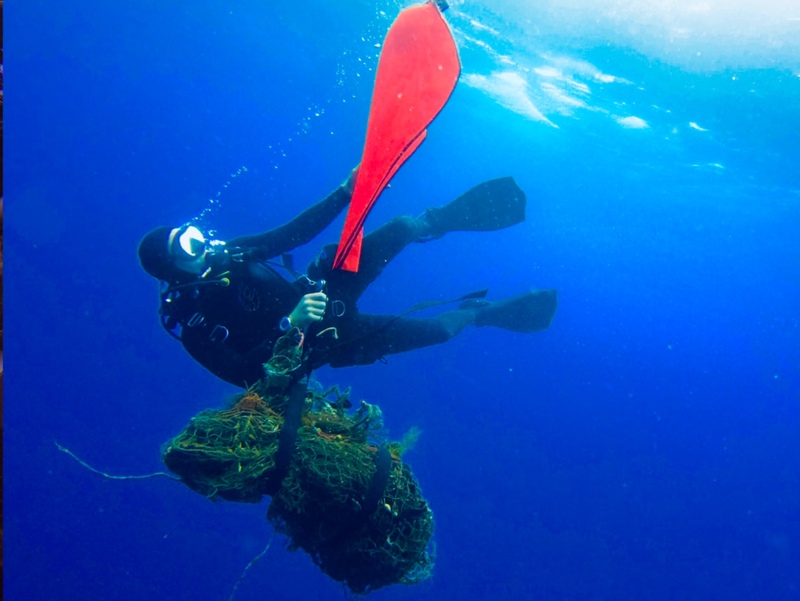 Ghost nets are one of the most dangerous physical threats to our reefs. Abandoned or lost at sea, these fishing nets drift onto the reefs and pinnacles, smothering marine life and coral. 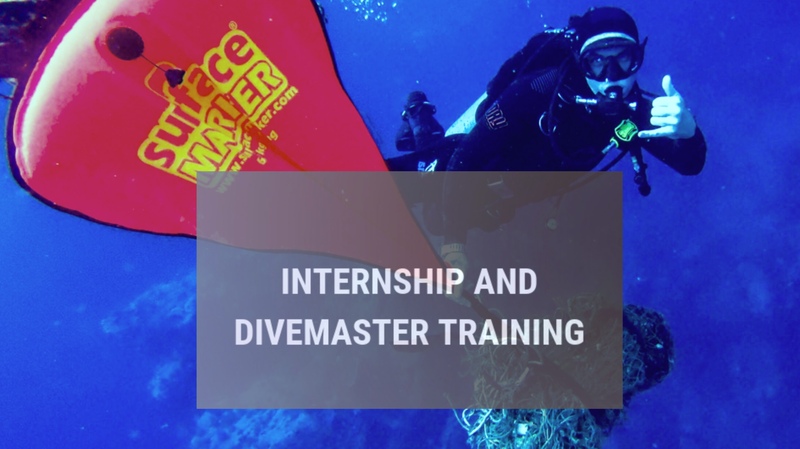 Our team monitors for ghost nets and other marine pollution, and sends dive teams out to recover these physical threats as quickly as possible.